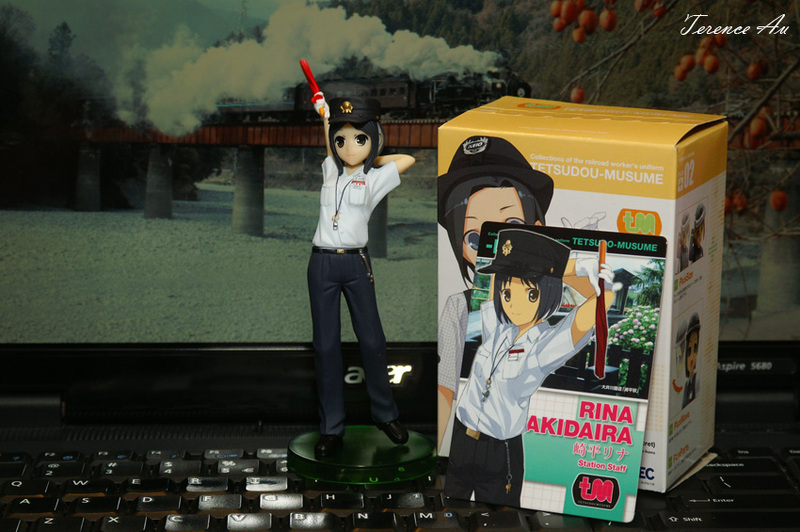 The Site Admin have been collecting this series named 鉄道むすめ/Tetsudo Musume (or Railway Girls) for some time now and Plus 02 is his latest series. This series started out by N and HO Gauge railway model giant Tomytec in 2005, and this is their 13th long running series, and the third complete series that the Site Admin have purchased to complement his N-gauge railway collection and on a larger whole, add ‘moe-ness’ (cuteness) to his railway hobby. 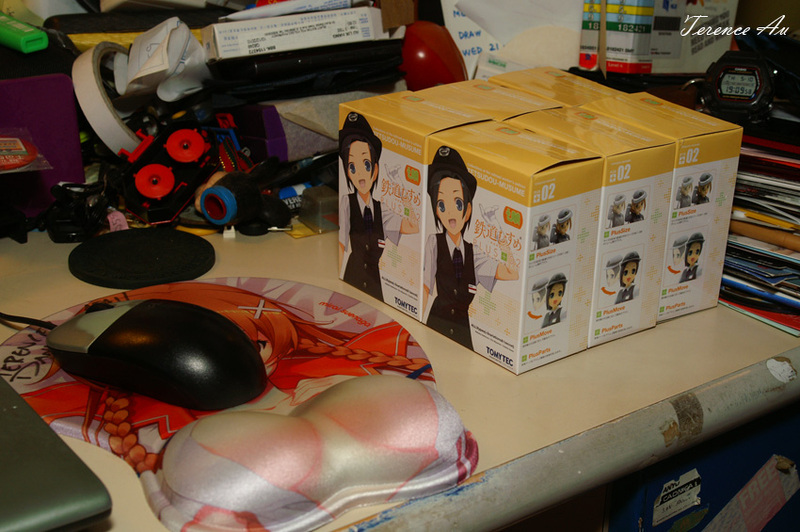 All Tetsudo Musume boxes come in a standard size. 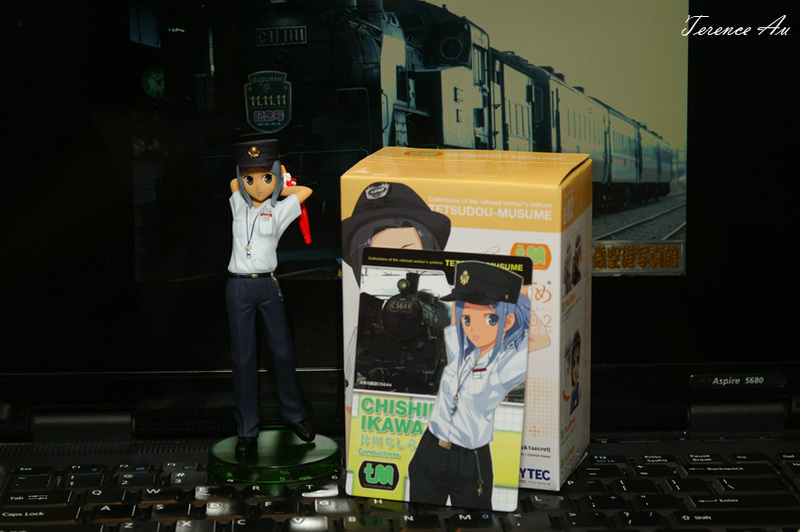 Plus series (so far 01 and 02) have larger figures but the boxes remain the same dimensions. 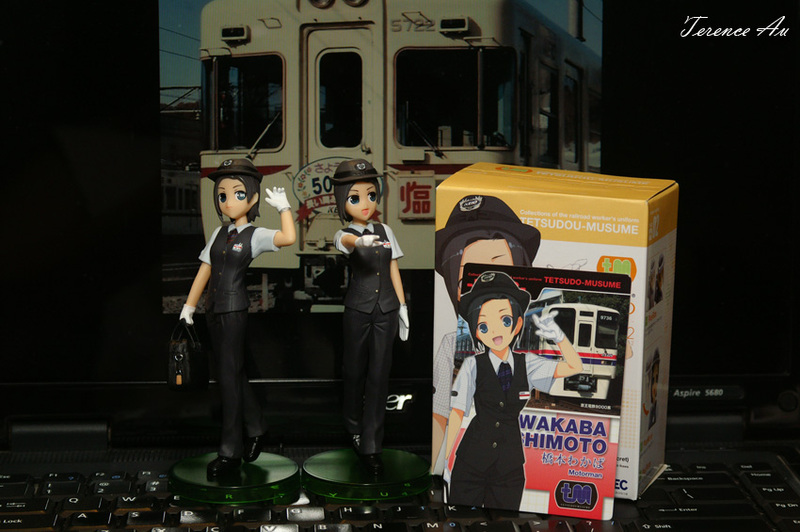 The first character features 井川ちしろ/Ikawa Chishiro, modeled after Train Conductor with Oigawa Railway/大井川鐵道 (Meitetsu Group) in Shizuoka Prefecture/静岡県. They operate the last rail line in Japan with daily regular Steam Locomotive (SL) trips. 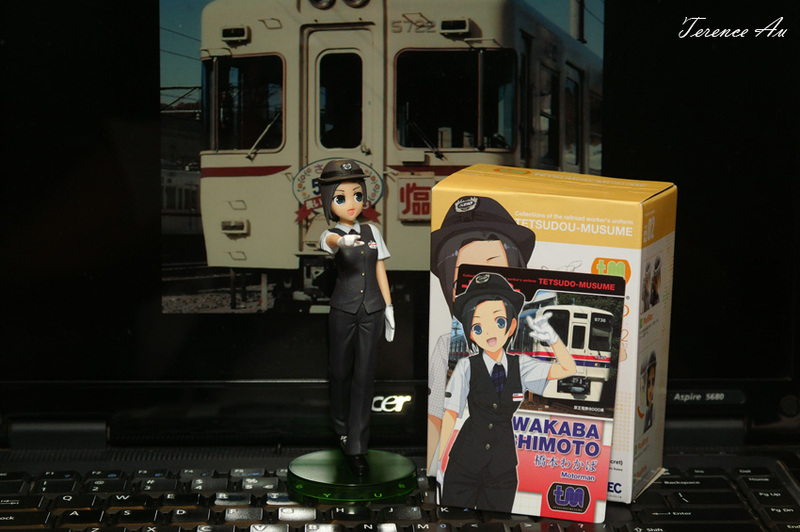 Opening the second box… 橋本わかば/Hashimoto Wakaba, modeled after Train Driver with Keio Corporation/京王電鉄. A busy private rail line in Tokyo, those who head towards Choufu/調布 or Takao/高尾 may have a chance of trying. The same character but variation in pose. Of course the Site Admin would love to demonstrate the prowress of Keio Railway’s daily operations, in terms of scheduling its trains so tightly that it was first thought impossible with traditional signalling. 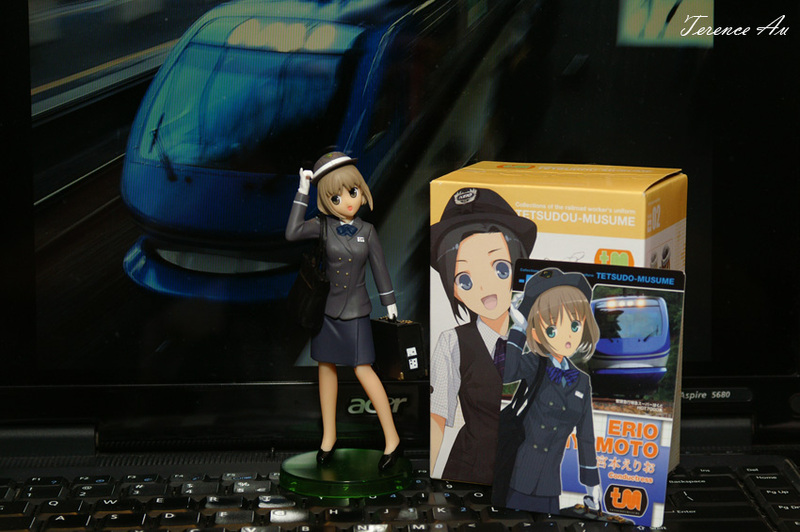 The third character, 宮本えりお/Miyamoto Erio, modeled after Train Conductor with Chizu Express/智頭急行. Located with their own line in Tottori Prefecture/鳥取県 in West Japan, there is also a limited express through-service to Osaka, served by their HOT7000 DMU (Diesel Multiple Unit) stock with a maximum speed of 130 km/h. Variation in pose, without the bags but left hand holding a stopwatch. えぇ.. 崎平リナ/Sakidaira Rina, a ‘secret’ character in the series. Since there are six in a box, there could only be the three characters with their variations, if not a certain variation will have to give way for the ‘secret’ character. For the previous series release, the box didn’t contain any, so this one is like a ‘good luck’ charm! 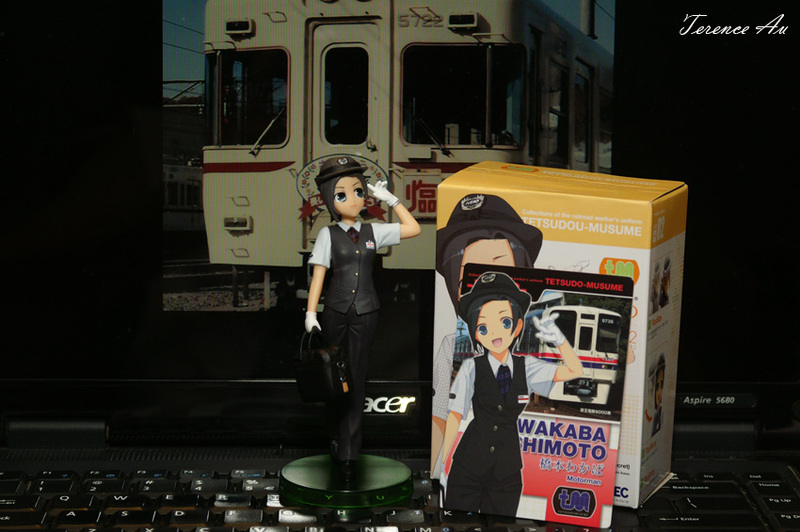 She is modeled after a station staff (apparently still ‘under training’) with Oigawa Railway. 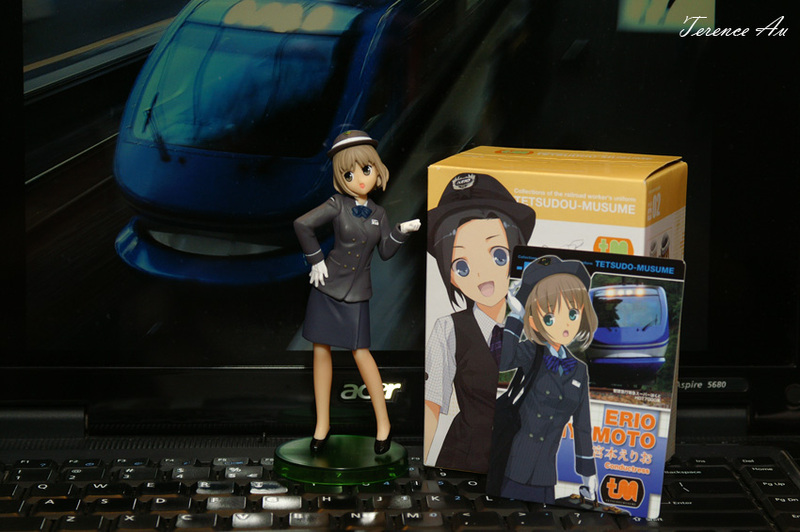 With her colleague, the train conductor. You can see that Chishiro is more tanned than Rina. Different job different conditions! 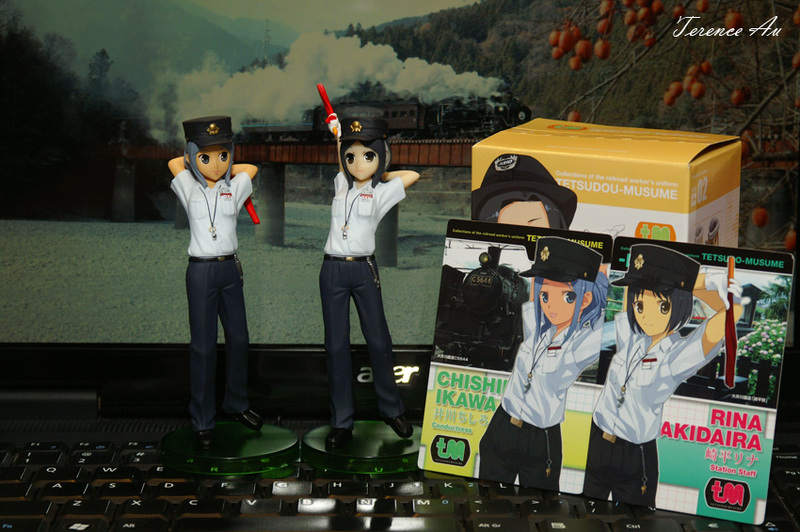 The characters from the series lined up in front of a replica plate of the famous ブルートレイン/’Blue Train’ in Japan, the 北斗星/Hokutosei. 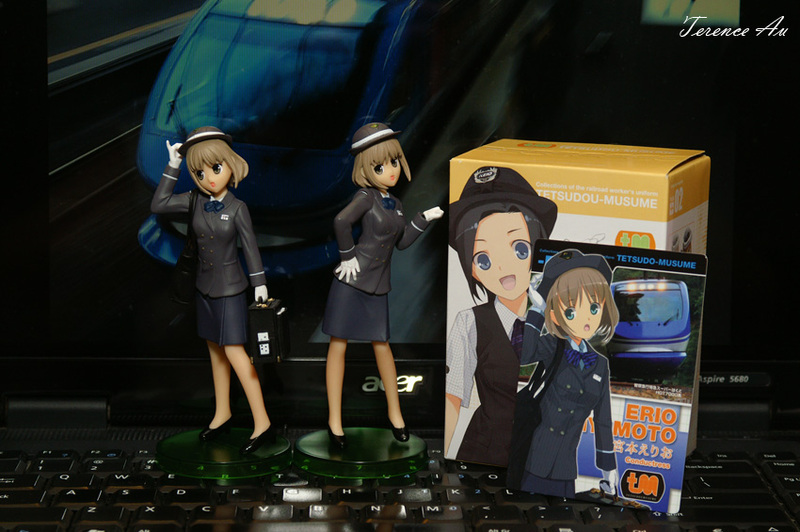 Today its the only scheduled Blue Train left, its counterpart the 日本海/Nihonkai reduced to seasonal service. First time seeing railway in a different light? Its not the usual way you see Japan’s railway. The Site Admin first started out looking at how advanced their system is, then how packed, was a little irritated at first too just like anyone else. However they being more advanced, using technology to their own advantage and even though trains are a squeeze, that is because utilization is at its maximum during peak hours. In short, nothing has gone to waste, and customer service to them is always first. 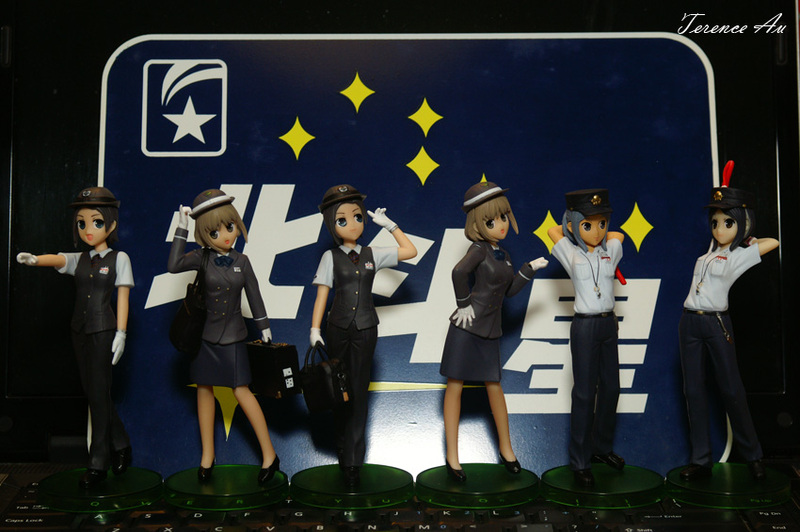 Making popularity hit home is also their forte, as railway companies have made customized versions of these figurines and sell at their stations. Perhaps its high time overseas systems, like the ones here in Singapore, regain public confidence with some actual results and products such as these?